When it comes to new technologies, almost everything that comes with Apple creates an immediate response or imitations on the market. Apple has been, is and will be, probably, a true pioneer and future-oriented company and will remain for many years to come. Now, with the launch of iPhone 5s the Tech giant also has the fingerprint sensor, a feature which has brought an innovation in the market. Sensor devices, fingerprint scanner and reader are not new, they have been in market for a long time, but only now apple has started to include fingerprint sensor no matter how Apple decided to include them in its versatile and unique iPhone. 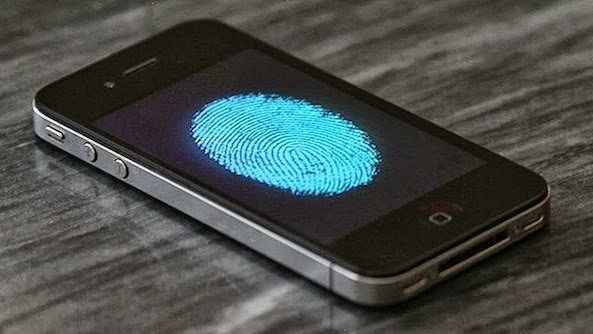 After showing a clear interest in fingerprint security Apple has finally acquired mobile and network security firm AuthenTec Inc for not less than 356 million U.S. dollars. The acquisition of AuthenTech is one of Apple's largest mergers in its history of 36 years. As a result, Apple is now basically owns the patents, they have control over their fingerprint sensors, touch chips and security technologies. AuthenTec is, not at all a small company. AuthenTec actually has more patents pending than any of its rivals in security technology many of which are probably related to fingerprint sensors. AuthenTec also had a few customers who actually are Apple's rivals, with names like Lenovo, LG, Motorola, Nokia and Samsung. Apple could use to continue or licensing, them which could ensure and maintain the technology for the sole purpose of their products. Apple could boost mobile commerce and enterprise adoption. Apple is known for playing by their own rules when it comes to its partnerships with carriers around the world. Maybe recently three major Russian airlines have chosen to launch Apple iPhones, mainly because of subsidies and marketing costs . But according to a report from Wells Fargo Securities analyst named Maynard Um , the date of the beginning of this month , Apple will be more flexible with the media. The involvement of the fingerprint sensor on the iPhone 5S is said to drive acceptance among consumers and corporate market. Well, there is a triangle of forces here, carrier and enterprise customers. If Apple is soft in its policies and conditions with operators , then they have every chance of increasing the number of operators dealing on a global scale . Thus , they will improvement and exposure in front of business clients allowing them to take advantage of stronger security measures .Apple has managed to make a deal with NTT DoCoMo , Japan's largest airline , signed to start selling the iPhone in Japan . Even Apple is very, very close to iPhone deal with China Mobile, which has about 750 million subscribers, the largest airline in the world, it almost is sealed. As Apple prepares for its media event independently in China, According to recent news that Apple has already received the network license required for your iPhone lineup of regulators from the Chinese government. Apple has offered Fingerprint sensor which has ability to provide secure device authentication, which can perform and will help to further expand in mobile commerce market. Thus, considered from all this , it should make investors happy. But despite all this, Apple shares fell nearly three percent after the announcement of the new iPhone. This is probably because investors are underestimating the technology of fingerprint sensor and powerful new processors. My favorite feature on the new iPhone 5S is the fingerprint sensor . And I can imagine that the beginning of the next iPhone in 2014 will bring a powerful fingerprint sensor advanced and secure . I'm also curious to see what the competition is to come up with it. This Article is contribution of Lisa Bak from Enterprise Mobility . She has written lot of articles on innovation introduced in the market, she possess strong knowledge when it comes to iPhone app development Dubai, market news and coming market trends.